When mobility is a need and power a requirement, nothing beats the Pulsar PG5250. 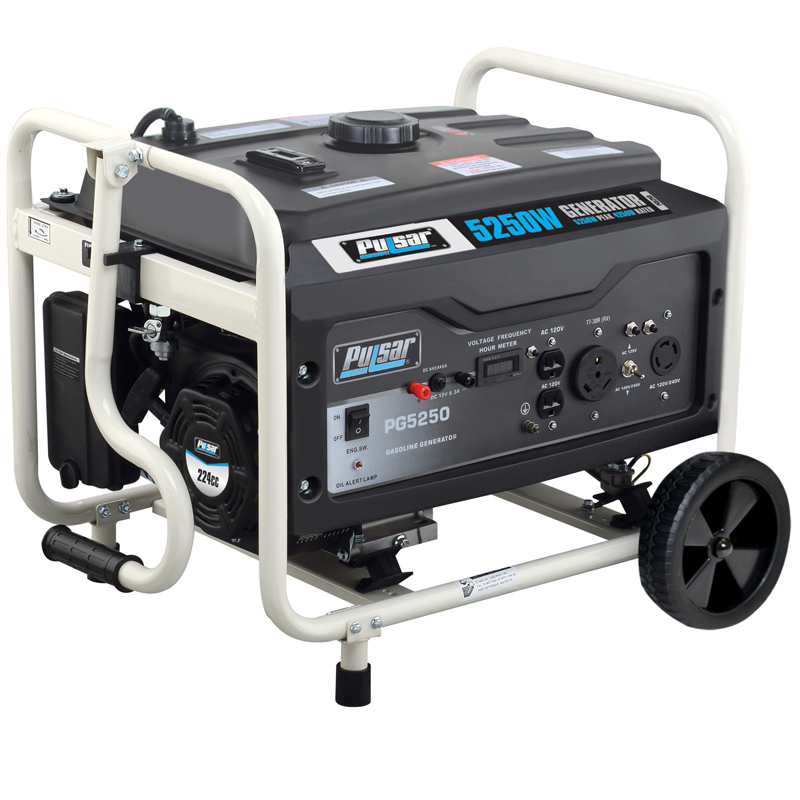 Large enough with up to 5250 peak watts to power two major appliances and numerous other devices, yet small enough to take to a job or recreation site, this unit can operate for up to 8 hours at half load on a single tank of fuel and is ideal for those hunting, fishing, camping, tailgating events. With two 120V outlets, one 120/240 volt twist outlet, one 30 amp RV outlet and one 12 volt receptacle, the PG5250 can handle both large and small jobs and provide years of service.